Look closer, to get the bigger picture. 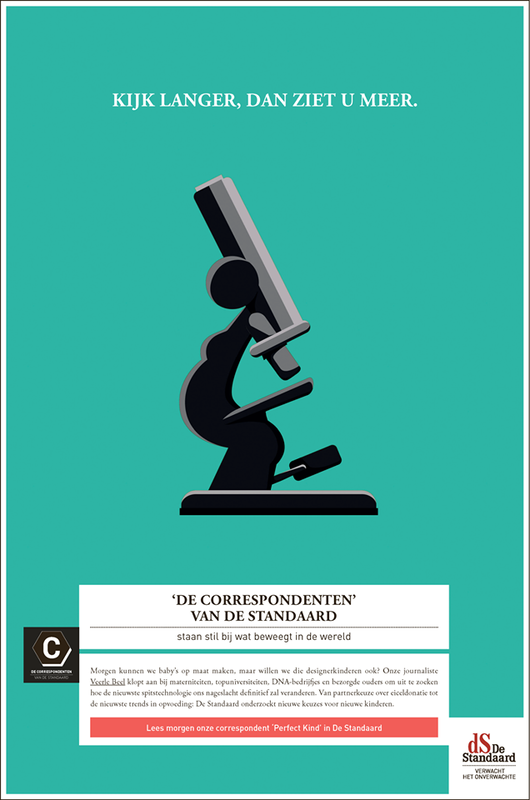 De Standaard: Watch tv on your newspaper. 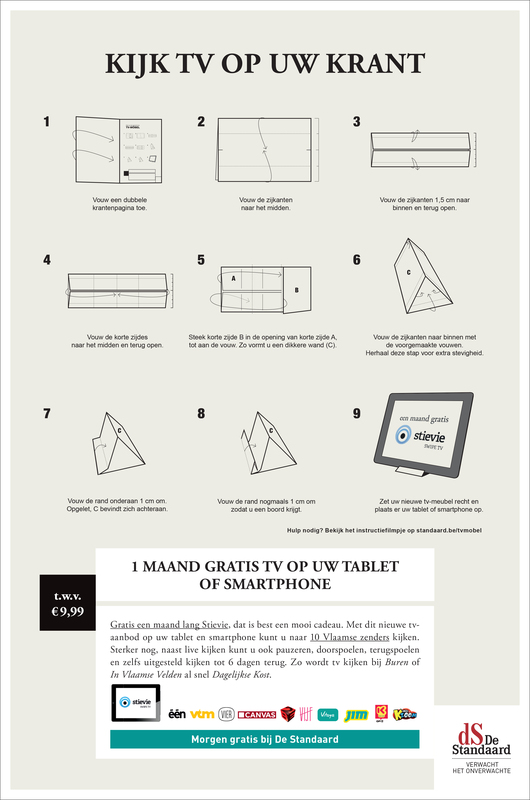 Newspaper De Standaard decided to give a months worth of free tv (Stievie) on your tablet or smartphone with their weekend edition. 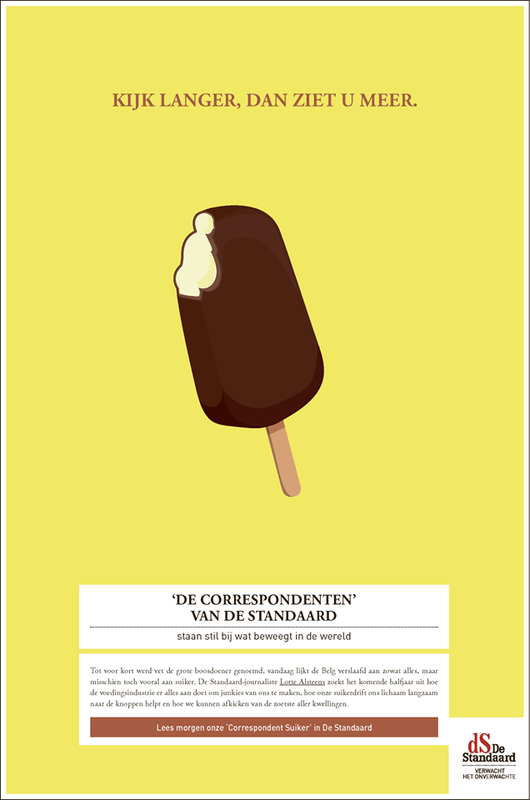 Here’s our ‘no budget’ print ad for it. Lampiris: recycle your own magazine. When Lampiris, a provider of 100% green energy, wanted us to make a print ad we tried to keep it as green as their energy. 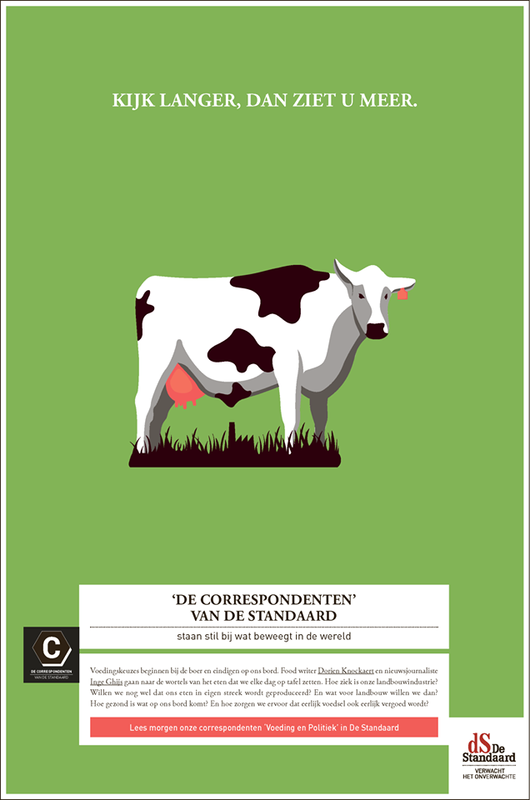 So we turned HUMO a popular Belgian magazine into a ‘plantable’ magazine. All you had to do was bury it, water it and wait for it. In total enough magazines were sold to fill 5 football pitches with flowers. That’s a whole lot of green. And purple. And white. And yellow.